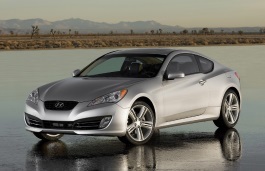 Correct Wheel Sizes, PCD, Offset, Rims and Tire specs for Hyundai Genesis Coupe series. Hi, what is the largest wheel spacers i can put on Genesis coupe 2013, thank you. Hi, Fabrice Barnabe.For your car, the largest wheel size is 19 inch/20 inch. But I does not recommend 20 inch. It will effect the performance. Hi,Bryan Fritz,Can you show your wheel offset data and CB data? how big of a tire can I put on the genesis 2013 3.8 ? so I can that wide look in the back ? how big of a tire can I put in the genesis 2013 3.8 ? so I can that wide look in the back ? Actually, stock is 225/45/18 front, and 24t/45/18 on the rear. If you have aftermarket wheels that are wider, I've seen up to 285's mentioned, usually with a 40 or 35 profile. 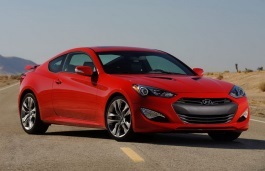 I have a 2010 Genesis coupe, what size spacer would I need for a 18x9.5 +38 to make it flush if I need any at all,? Well, I recently got my Genesis and Really wanted some wheels for it! like wide deep dish ones (has to be white no matter what) got any recommendations? Hi,Mark,If you like wide deep dish wheels,You can choose aftermarket wheels,Like BBS,Advan,Vorsen.Find a good style you like and confirm whether it is compatible for your car. Can I put 225-50-19 on 11 track front &245-50-19 on 11 track back ?? Hi,jay,what your current tire size?I can help you confirm it. would like to replace both to 45 ? Hi, James L,What your current tire size? Hi,Nikkie,you can try front:7.5Jx18 ET33 ,rear:8Jx18 ET33,bolt pattern 5x114.3,cb 67.1.